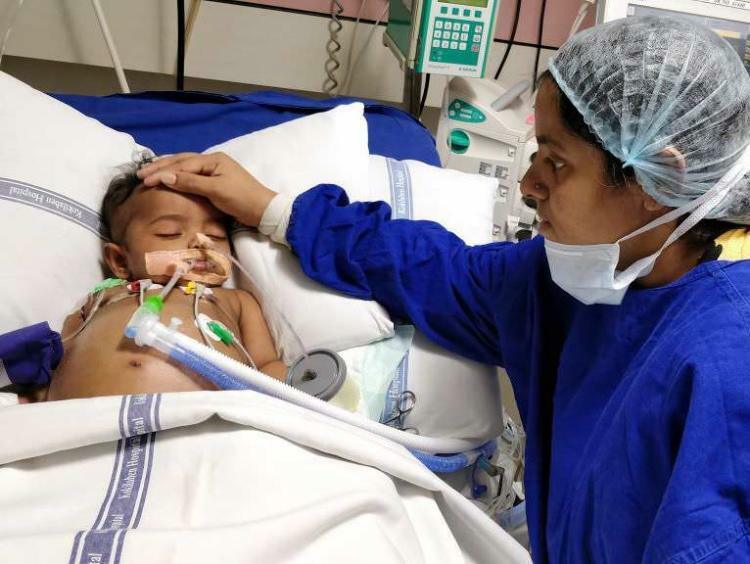 The 10 minutes that Yogitha gets with Sayuktha every few hours in the PICU is the only thing she looks forward to now. Even though she can’t hold her, she’s hopeful just watching her 8-month-old get the treatment she needs. 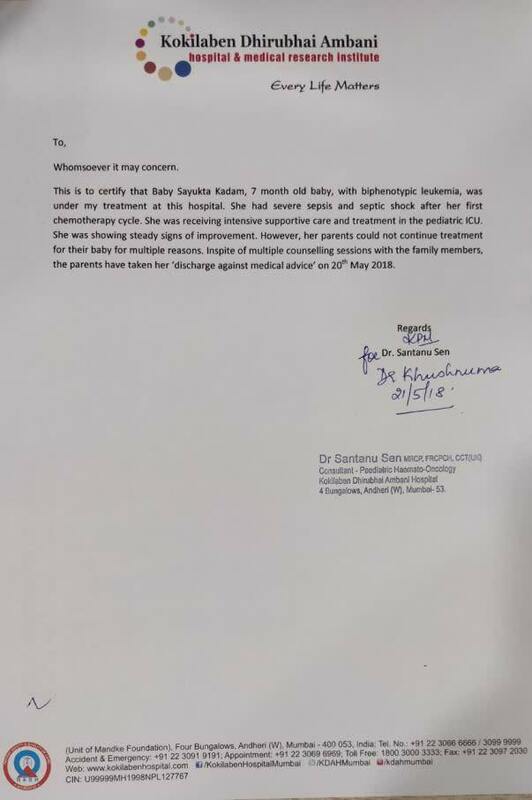 Unfortunately, baby Sayuktha’s condition is extremely critical and she needs to stay on in the PICU for a few more days. However, her fight doesn’t end there. Baby Sayuktha also needs chemotherapy to beat blood cancer. Sayuktha is running out of time, and her parents are desperately looking for a way to continue treatment. 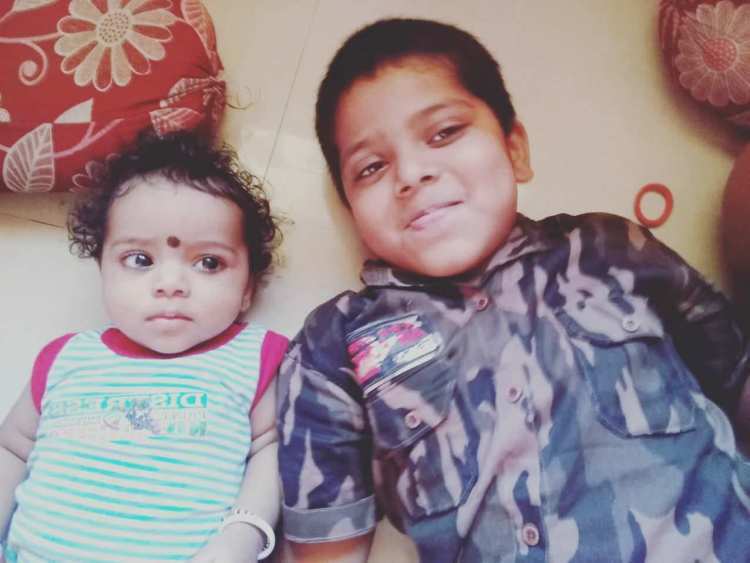 8 months ago, Yogitha, Sachin and their son, Suyog (7), celebrated the birth of a healthy baby girl. Never did they imagine that just a few months later, she would be fighting several battles for life. Last month, baby Sayuktha was diagnosed with Mixed Phenotype Acute Leukemia, a combination of two kinds of blood cancer that attacks the blood-forming cells in the bone marrow. While Yogitha stays in the waiting room of the hospital all day, Sachin drags himself away from his wife and kids to go to work. As much as he wants to stay at the hospital, his job at the pharmacy is the only thing helping them stay afloat. 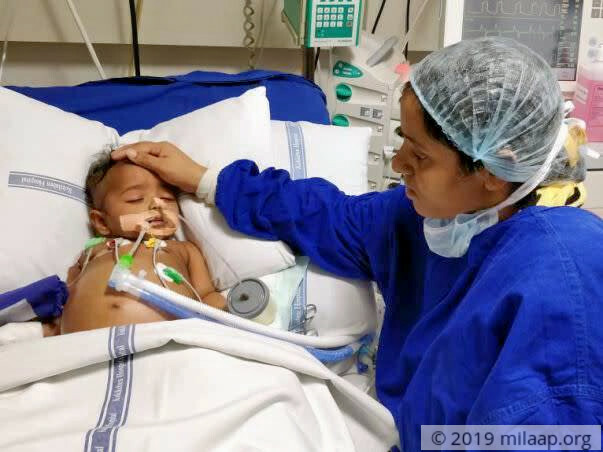 However, after spending nearly 5 lakhs on her treatment in the past month, they can’t afford to continue the treatment which will cost them nearly 20 lakhs for PICU care and chemotherapy. "Every day it's getting more difficult to watch our baby suffer. It's even more difficult to think of stopping her treatment. We will go on as long as we can, beyond that, there's nothing we can do. I just want her to wake up again and take her home in my arms." Sayuktha needs to continue treatment to survive. Yogitha and Sachin’s heart breaks watching their baby fight for her life every day. Only continued PICU care can cure Sayuktha of this deadly infection. She also needs chemotherapy once the infection subsides. 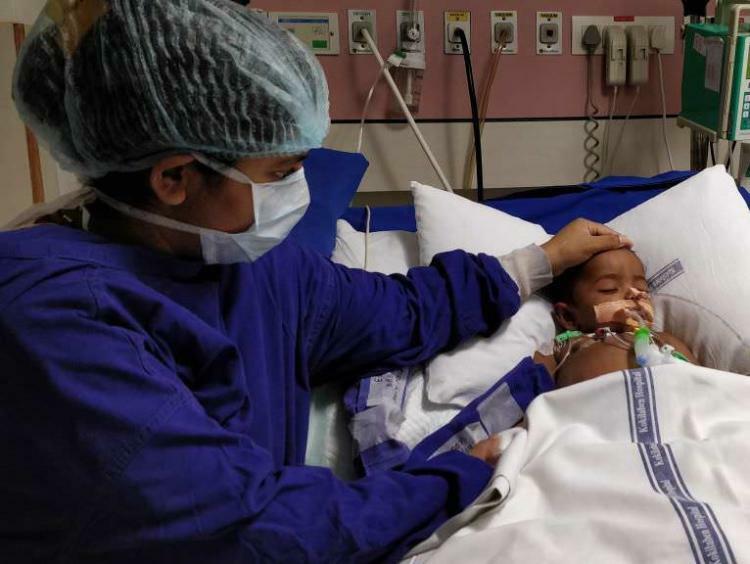 Yogitha and Sachin are struggling and need all the help they can get to save their baby girl. 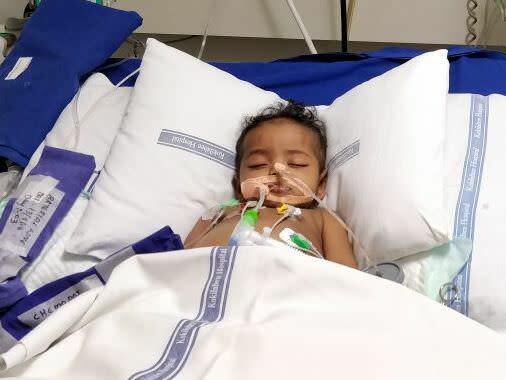 Your support will save baby Sayuktha’s life. Thank you for the wonderful support that you have shown towards Sayuktha. I have some news to share with you today. She was diagnosed with leukaemia and was undergoing treatment for the same. During the course of the treatment, the baby was slowly responding to the treatment. 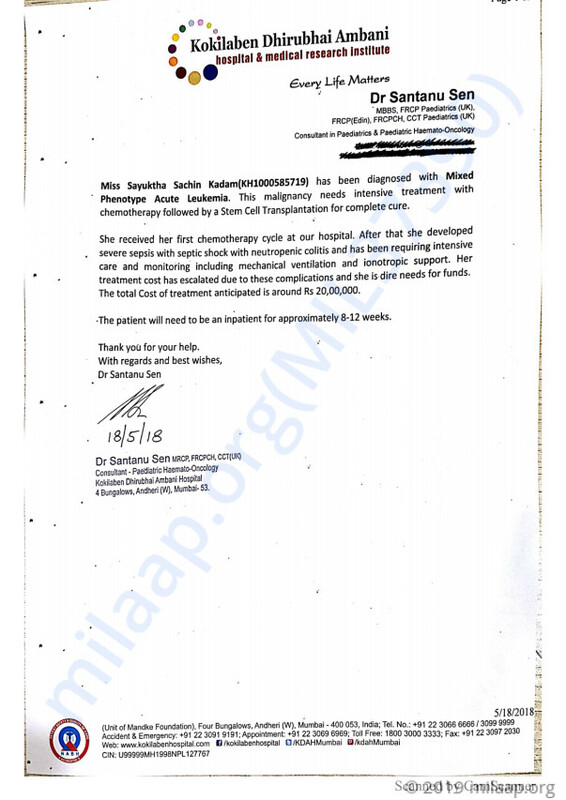 Her family got her discharged against medical advise on 20th May. Her family was counselled multiple times about the complications that it could cause. Thank you once again. 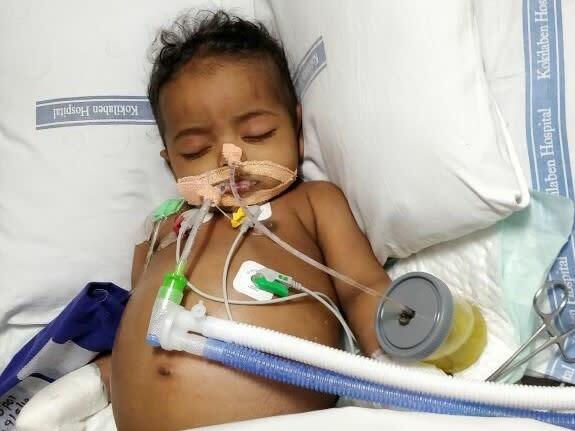 Our prayers are with baby Sayuktha. Stay strong! Everything will be fine.